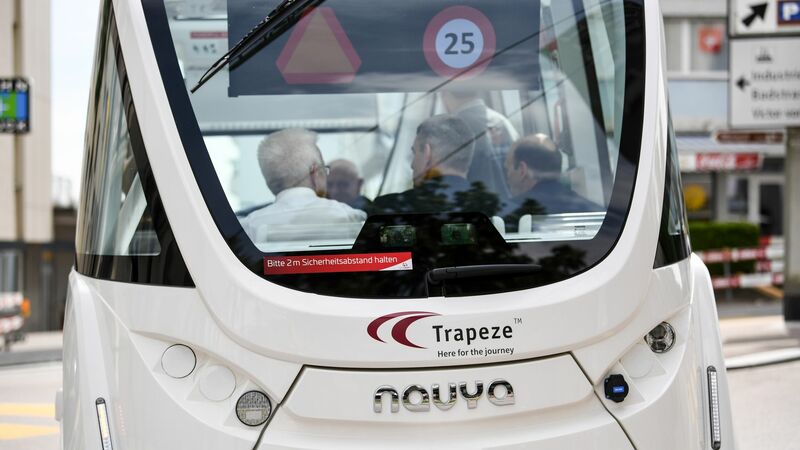 The Swiss state of Shauffhausen was the first in the world to incorporate an autonomous bus into regular route public transit in mixed traffic, a service that has transported over 12,000 passengers since it began in March. City and transit officials tasked a research team with conducting a public survey on the program's performance. Why it matters: While the participants seem to have some concerns and unanswered questions about the transition to autonomous vehicles, the autonomous bus enjoyed high levels of approval. Public acceptance and support are key to the success of AVs in public transportation, and these results bode well for other cities looking to try autonomous buses in their transit systems. Overall, rider concerns were low, and the project received support from the majority of the population, with around 60% of participants judging it useful. Participants showed relatively high trust in the AV technical systems themselves. System safety and reliability earned the highest approval ratings. Yes, but: Riders were most concerned about the potential hacking of the vehicle’s software and data. Other highly ranked concerns were the interaction of the AV with cyclists and pedestrians and its reactions to unexpected situations or bad weather. Those in the 18–40 age group had more worries about the loss of jobs that AV technology could bring about. Participants were also apprehensive about transmission of data from AVs if the technology was used in their own cars: A majority objected to the sharing of data with insurance companies and the state Road Traffic Department, and even more to the Swiss Federal Tax Administration. What’s next: The research team plans to conduct at least two more follow-up surveys in the coming year to track how attitudes change as usage of the autonomous buses continues and expands. These studies, along with others being planned in the U.S., will help guide cities rolling out their own pilot AV programs. Paul Comfort is vice president of business development at Trapeze Group and the former CEO of the Maryland Transit Administration in Baltimore. Go deeper: Read the full study.